In particular, in 2009 the country was visited by 1, 5 million visitors, in 2010 – by 2.03 million, in 2011 – by 2.8 million, in 2012 - by 4.4 million, in 2013 – by 5.3 million people. In 2013, Georgia’s income from tourism amounted to GEL 3 billion or 6.5% of GDP. In 2012, the tourism business accounted for 10% of total number of employed in Georgia. However, the introduction of new and stringent visa regulations will affect negatively on the growth of the tourism sector and this will have a negative impact on the entire economy. The introduction of visas, their fairly high price (about $ 60) will require potential tourists to pass complicated bureaucratic procedures and increase their costs. This will significantly reduce the attractiveness of tourism in Georgia. The authorities retained the visa-free regime with 94 countries, however, they also face problems -in particular, in order to stay in Georgia for more than 90 days in a 180-day period, they will need to purchase working visas or residence permit - which also involves large bureaucratic obstacles. It should also be noted that a full visa regime was imposed on the number of partner countries in the field of tourism - such as Iran and Iraq. Getting a visa at the border, which attracted tourists from the Middle East, made the procedure simpler and faster, while now the citizens of these countries will have to apply to the consulates that are not located in all countries - for example, in Iraq while in the territory of Iran - only in Tehran. 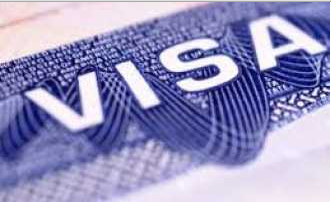 A visa regime was also introduced for countries such as China, India, Singapore, as well as the African states. New visa regulations have virtually closed touristic Georgia for Eastern countries, besides the conditions for obtaining visas are too complicated - for example, tourists from China or Iran will have to submit to the consulate an invitation, as well as a list of objects he is going to visit. It is absurd to imagine that in such a situation, with such a visa policy, Georgia will remain competitive in the global tourism market. Last year China and India were the fastest -growing suppliers of tourists all over the world, and from this point of view, we must not create barriers, but rather to simplify all procedures. The visa regime will affect negatively on gambling - a large number of Iranian citizens come in Georgia to play in the casinos who will no longerbe able to do so. Visa regulations worsened Georgia’s position in various international rankings - in particular, the index for ease of travel decreased by 51%. It should be noted that up to 300 000 tourists account for the countries with which the visa regime was introduced and which Georgia is likely to lose. The number of visitors is expected to reduce from the countries with which visa-free regime was preserved, but restrictions on the length of stay in the country were introduced as many people willing to live in Georgia will have to abandon this idea. The Georgian government claims that the introduction of visa regulations is a requirement of the European Union, but this statement raises serious doubts – whether it is in the EU's interests to introduce additional restrictions on stay of the citizens of the European Union in Georgia? Or the introduction of visas for the countries of South America, China, India who do not enjoy the Georgian route if they intend to illegally enter the EU? For Georgia, the problem of migration is irrelevant, since the migration balance in the country is negative.